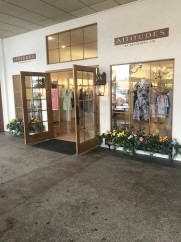 Established women's clothing store with extensive client list. Excellent condition and move in ready. Park Ridge Galleria with good tenant mix including two hair stylists for walk in traffic. Priced to sell.